A blender is a useful appliance for your kitchen if you love creamy smoothies or fresh juices, a blender makes all your favorite beverages and will inspire you to create exciting new recipes. Electrical appliances help us to work smarter and faster. Highly versatile, a benchtop blender, like the food processor, can perform a wide range of food preparation tasks. Make delicious smoothies, healthy fresh juices, iced desserts, cocktails or mocktails. Grind coffee and nuts. Mix batter and dough. 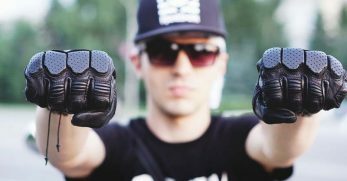 Crush ice. Even make hot soup. If you want to kickstart a healthy lifestyle or just want a super-fast way to blend ingredients, it is time to discover the amazing talents of a blender. Our top pick for the best blender is the Magic Bullet NutriBullet Blender. This extraordinary blender offers you best-in-class nutrient extraction, a powerful blending performance, user-friendly controls, and fantastic recipe versatility. Whether you love to make smoothies or juices, the NutriBullet will introduce you to a new and exciting world of blending versatility. Blenders come in 3 main sizes. Personal blenders; family sized blenders and heavy-duty commercial blenders. A personal blender, like the Epica Blender, is a great choice for blending smoothies or fresh juices for one or two people. If you need to save valuable space in a small kitchen, personal blenders have an ultra-compact design so they will fit easily on a kitchen benchtop. Even though a personal blender can perform other functions like make cocktails or soup, this mini blender is not powerful enough to process large ingredients or crush ice. 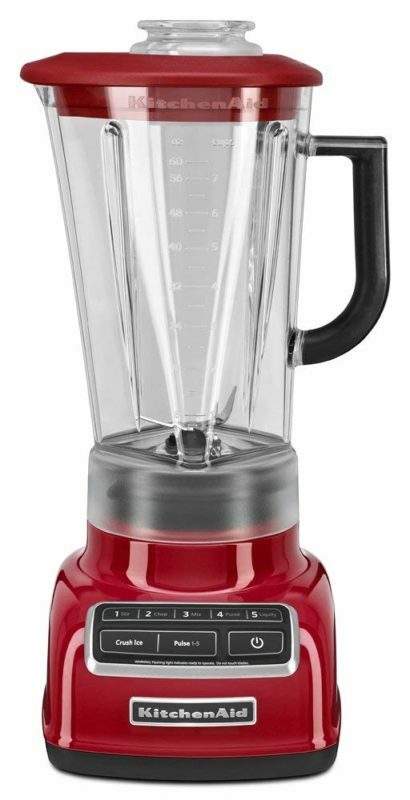 Family-sized blenders, like the Magic Bullet, Vitamix 5200, KitchenAid KSB1575ER or Ninja Professional BL610, are specifically designed to make medium to large batches of smoothies and juices. These professional-type blenders can also perform a wide range of tasks like making soups, sauces, salsas, nut butter, mix batters, grind coffee beans and crush ice. 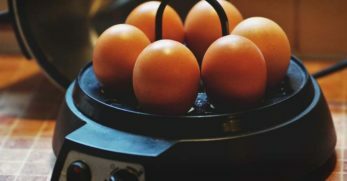 A family sized blender also has a compact design but the bulkier base may still take up considerable space in your kitchen and it can be noisy. With a heavy-duty design, powerful performance, and a large blending capacity, commercial blenders, like the CleanBlend or the Waring-Pro, are excellent appliances for an extra large family, cafes, restaurants, or your workplace. 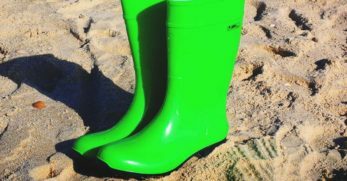 Similar to the family-sized blender, they can be bulkier, heavier, and noisy. 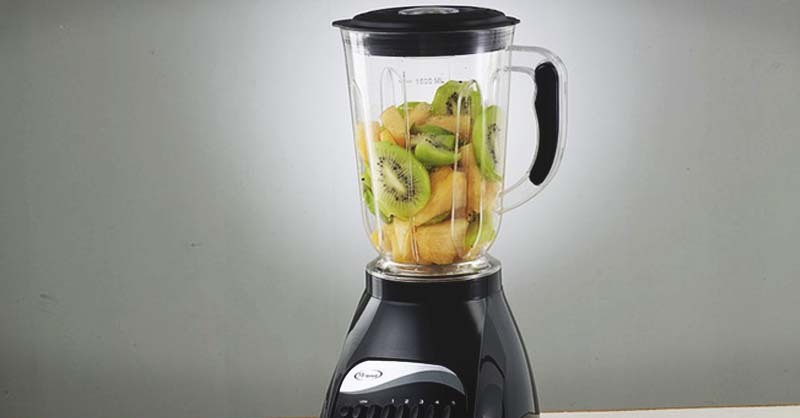 The power of a blender's motor is indicated by wattage and/or horsepower, or even RPM (revolutions per minute). Generally speaking, blenders that have 300 to 500 watts of power are ideal for single use or two or three people. Blenders that have higher wattage from 1000 to 1800 watts or 2.5-3.5 horsepower are ideal for a large family of four people and commercial use. 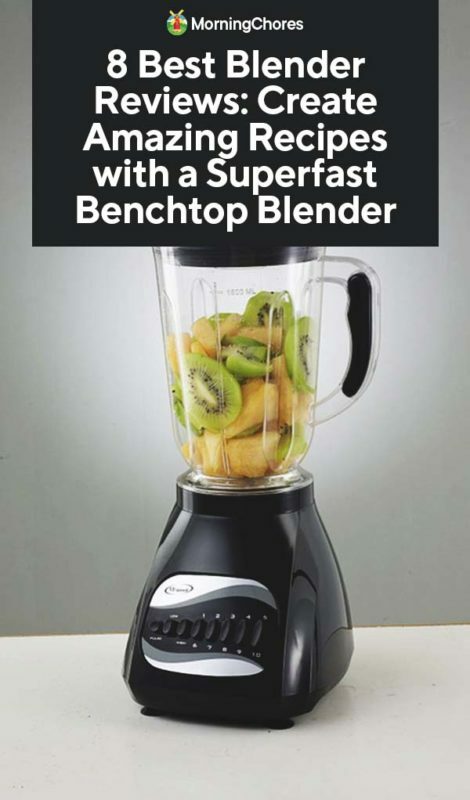 The wattage or horsepower does not mean that your blender will always have a super fast operation all the time. A blender may slow down or even overheat if you overpack the blender with too many pieces of fruit and vegetables and if you only use dry ingredients. 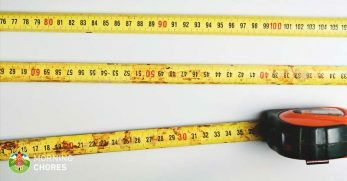 Stainless steel blades should be super strong and razor-sharp. Blenders are designed with a blade system that consists of multiple blades ranging from two, four or even six blades. The more blades the blender has, the smoother the consistency of your smoothie and juice. Just like the overall power of the blender, the final consistency will also depend on how many ingredients you pack into the blender. A good tip for a perfectly blended smoothie is to always read the manufacturer's guide before you starting blending. Blend settings can vary from simple controls like low, medium, high and pulse functions to more advanced pre-programmed settings that let you blend, chop, grind, crush, emulsify, and heat. Simple settings are perfect for basic blending needs. But for total control over the blender, go with a blender that has advanced settings. The container, pitcher or jug that holds the ingredients can range from a small 20 to 24-ounce capacity, a medium 32 to 45-ounce capacity or large 60 to 64-ounce capacity. 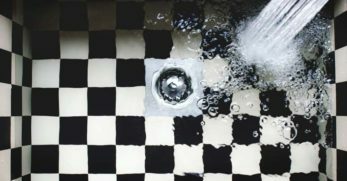 Even though a larger container can hold lots of ingredients, you have to keep in mind that when you add liquid, it can result in some splash over or leakage. A tamper or push stick is very handy for breaking up large vegetables and ensuring that your smoothie, juice or cocktail has an ultra-silky smooth consistency. You can even us the tamper to mix ingredients in the container while the blender is running. Featuring great power, a ground-breaking design, and smart technology, the Blendtec Designer Series Blender is an excellent choice for any kitchen. The Blendtec is built to the highest professional standard so that you can enjoy consistent blending results every time. An amazingly powerful 3.8 horsepower motor and a razor-sharp 2-blade system work together to effectively and quickly pulverize ingredients into delicious culinary creations. Super smart design features include an innovative operating system and a unique five-sided Wildside plastic jug. Once you turn the blender on, its advanced system and the five-sided jar work together to create a vortex-like blending action that pulls ingredients toward the blades instead of spinning them around in a circle. SmartBlend technology automatically senses problems so your smoothies or juices will be perfectly blended and you do not have remix your wet or dry ingredients with a tamper. The strong BPA-free Tritan plastic jug has a vented lid and its stable extra-wide base allows for safe blending. As the jug has a large 90-ounce volume and a 36-ounce blending capacity, there is plenty of room for ingredients and liquid. You have lots of versatility at your command with the six pre-programmed one-touch settings. Blend smoothies, salsa, ice cream, juice, hot soup, and there is a self-cleaning button. 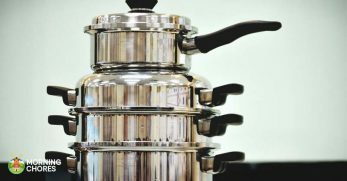 The Blendtec will blend and heat the soup up at the same time so you can serve your homemade soup straight from the container which also means you will save on washing up. Other user-friendly features include an easy-to-clean one-touch interface panel, a 100-speed touch slider, a pulse function with an “add 10-sec” feature for precise fine tuning, and an LCD countdown timer. The blender comes in 3 stylish colors: black, red, and stainless steel. 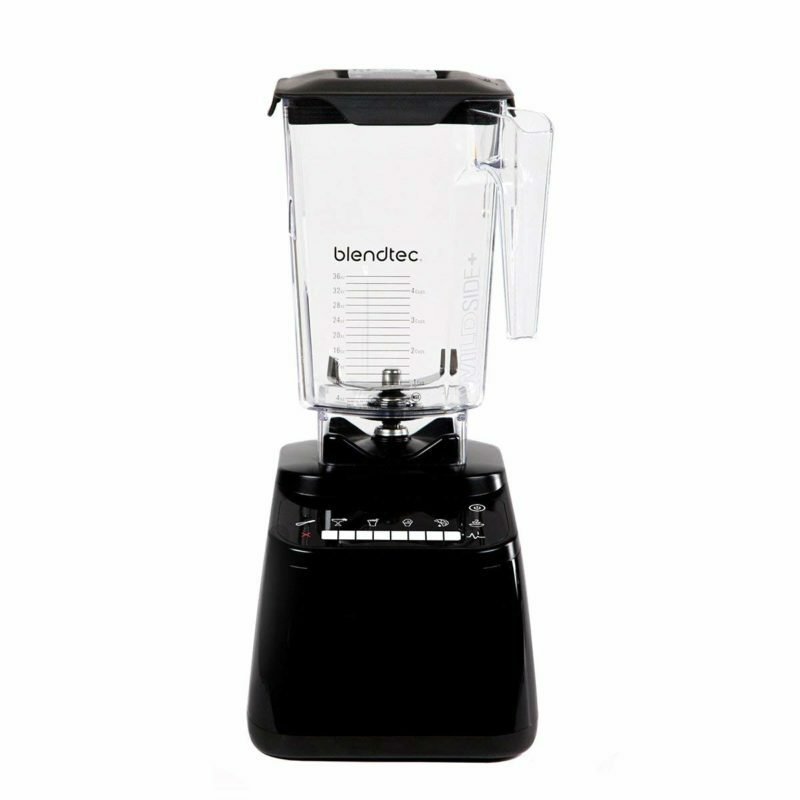 Blendtec offers an 8-year warranty on the blender. 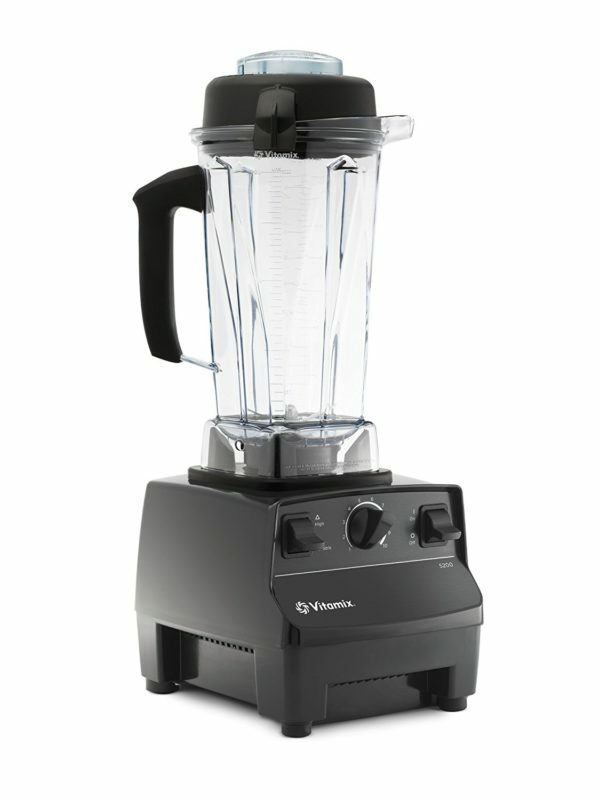 Experience a whole new level of blending with the Vitamix 5200 64-ounce Blender. Highly functional, the Vitamix will inspire you to create a wide range of culinary delights. It can blend, chop, heat, grind and emulsify. You can make smoothies and juices. Desserts like ice cream or fruit sorbet. Prepare hot soup in under 10 minutes. 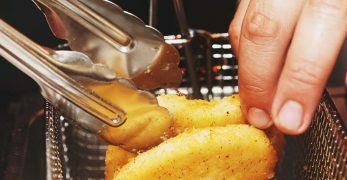 Quickly mix batters for pancakes, waffles, cookies, muffins, crêpes, and cakes. Grind your favorite nuts into delicious nut butter or coffee beans into perfectly ground coffee. Mix up a rich tomato sauce. The large 64-ounce container has a sturdy lid and is designed for blending medium to large batches, which is tailor-made for a large family. Made in the USA, the design includes a durable metal-drive system and the four razor-sharp aircraft-grade hardened stainless-steel blades cut through the toughest ingredients to create smooth, flavor-packed beverage blends. 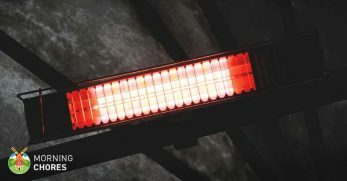 For a powerful performance, the blender can reach high speeds but the radial cooling fan and thermal protection system prevent the appliance from overheating. 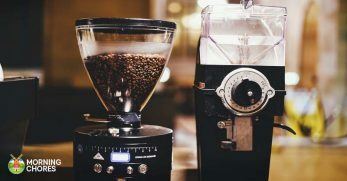 Simple to use, there is a high and variable speed control button and the 10-speed dial can be rotated at any point during the blend, so you are always in complete control of the blending process. The blender will fit easily on a benchtop due to its compact design and sturdy base, and it has a good sized 6-foot power cord. 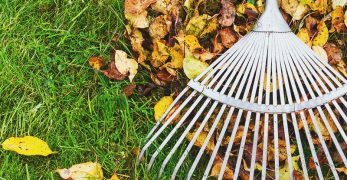 Clean-up is easy with the self-cleaning mode. Just add a drop of dishwashing liquid and warm water, and your Vitamix machine can clean itself fast in 30 to 60 seconds. The blender comes with a getting started guide, DVD, and a classic tamper. You can choose from 5 great colors: black, brushed stainless-steel, red, white, or platinum. Vitamix offers a 7-year warranty on the blender. Featuring an outstanding powerful performance, high versatility, and a sleek design, the Ninja Professional BL610 Blender is perfect for your kitchen. With Total Crushing Technology and 1000 watts of blitzing power, the six razor-sharp tapered blade system pulverize and crush whole fruits and vegetables and even ice in seconds. 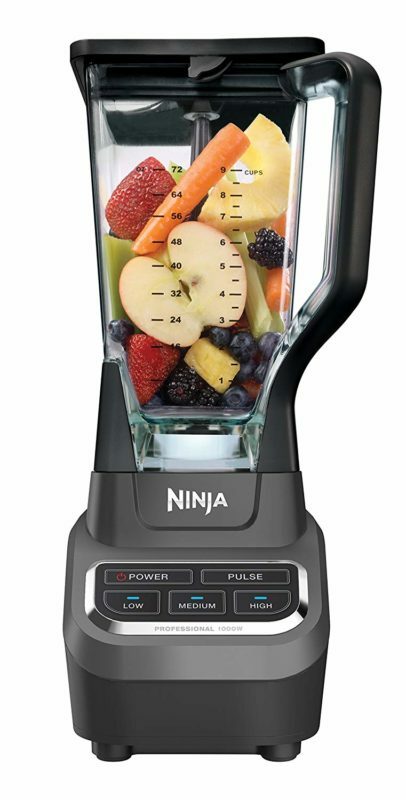 So you can use the Ninja Professional for blending creamy smoothies, pureeing nutrient-packed juices, delicious sauces, dips, frozen drinks, or a party-ready strawberry daiquiri. The blender is very easy to use with a simple power button, three settings: low, medium, and high, and a pulse button. Its BPA-free plastic extra large 72-ounce container has a sturdy plastic handle, a securely closing lid, and an easy-pouring spout, and it is the perfect size for making large batches of delectable beverages and tasty treats for the entire family. With a compact, sleek design, the Ninja will take up minimal space on the kitchen benchtop or on your bar. To keep the container clean, it can go straight into the dishwasher. The blender is covered by a 1-year limited warranty. Ninja also includes fantastic recipes in the user guide to inspire you to greater cooking creativity. Kickstarting a healthy lifestyle is made super easy with the Magic Bullet NutriBullet Rx N17-1001 Blender. The ultrapowerful 1700 watt/2.3 horsepower motor and twist-on turbo extractor blades turn whole fruits and vegetables into superfood. Highly versatile, the NutriBullet makes healthy juices, smoothies, sauces, nut butter, and hot soup, and there is even a 7-minute heating function for soups and sauces. It is perfect for single servings or for up to 12 servings per smoothie. 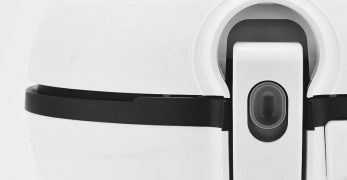 Revolutionary hands-free SMART Technology does all the hard work for you. It turns the high-torque power base on automatically and keeps the blender functioning at optimal speeds for consistent blending and juicing. The blender is very easy to use with a simple power on button and a G-Button that is located on the front of the machine. 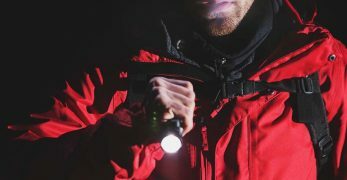 As well as the 45-ounce soup-blaster pitcher, the 45-oz oversized cup has a stay-fresh twistable, re-sealable lid which fits both the 45 and 30-ounce cups. The 30-oz short cup with a comfort lip ring is great for taking your soup, smoothie or juice to work, college, or the gym. 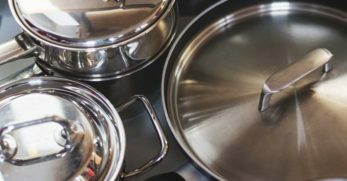 For safe operation, the soup pitcher's vented lid allows heat and pressure to escape during the soup-making process, and its spout allows for easy pouring into serving dishes. 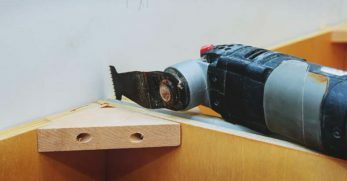 If the extractor blade gets stuck on the containers, use the special Blade Remover to safely untwist it. With a compact and sturdy design, the Nutribullet fits easily and securely on most kitchen benchtops. 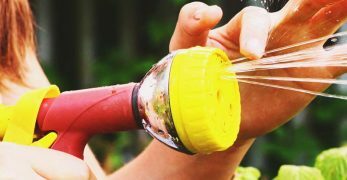 For hassle-free clean-up, simply rinse the blade with soap and water, and the cups are top-rack dishwasher safe. 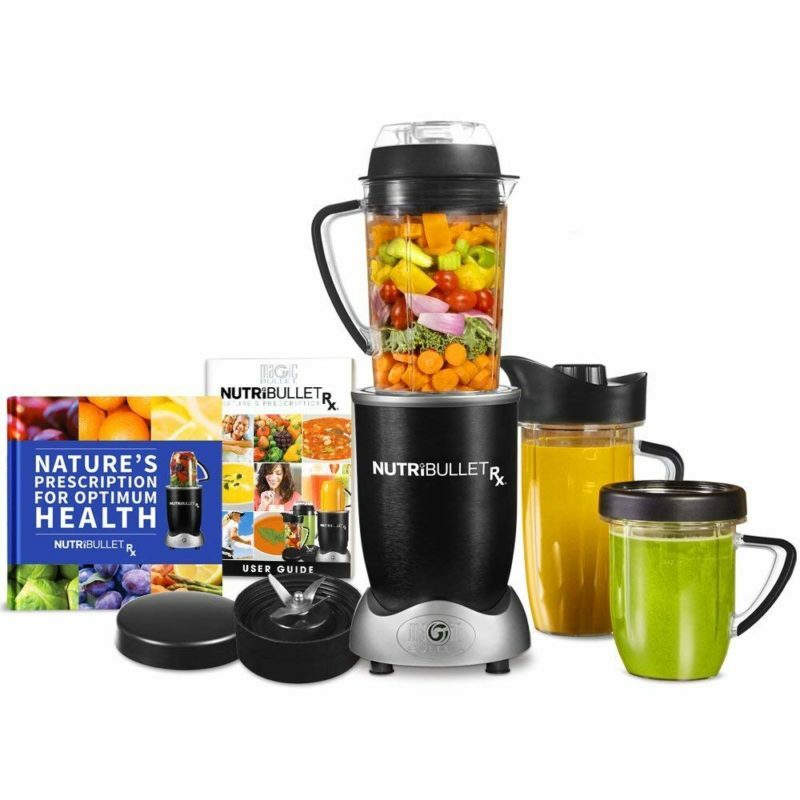 The Nutribullet also comes with a Natures Prescription 150 page Recipe Book that contains nutritional information and recipes to help you get the best use out of your new blender. 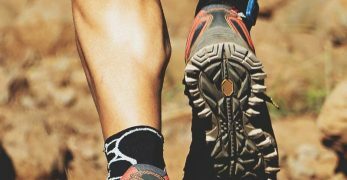 The super convenient Epica Personal blender is a great choice for maintaining a healthy active lifestyle. This incredibly versatile mini blender has a powerful 300 watts/23,000 RPM motor and a heavy-duty stainless-steel 3-blade system that can pulverize almost any type of ingredients like fruit, vegetables or nuts. 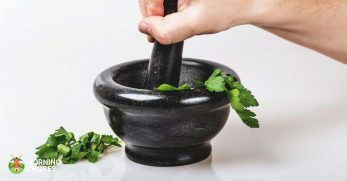 It can be used to make smoothies, body-building power shakes, juices, soups, cocktails, dips, sauces, and whipped cream. With a travel-friendly design, the convenient 20-ounce take-along bottle fits in most car cup holders and the flip-top lid seals tightly to prevent spills. So you can enjoy your favorite beverage while you drive to work, or catch a bus or train to work, college or the gym. Made from BPA-free plastic, the bottle is strong and will not affect the way your smoothie or juice tastes. Highly durable, the cup resists breakage and can withstand temperatures from -40 to 175° Fahrenheit. The blender is very easy to use. Unscrew the lid from the bottle. Add your ingredients, attach the lid and insert the bottle into the blender, and lock it securely into place. Press the one-touch button and watch as your ingredient blend perfectly together. Unlock the bottle from the base and enjoy your delicious smoothie, fresh juice, or cocktail. To keep the blender clean, the bottle is dishwasher safe. Epica offers a 2-year warranty on the personal blender and the instruction manual includes excellent recipes. If you love smoothies and fresh juices, the KitchenAid KSB1575ER Blender is the ultimate blending machine for any cooking enthusiast. A powerful motor, razor-sharp stainless-steel blades, an exclusive diamond blending system, and intuitive electronic controls work together to create a powerful vortex that delivers fast, thorough, and exceptional blending results. 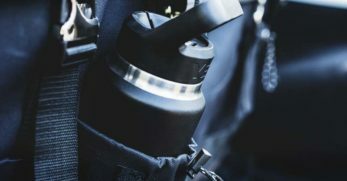 The innovative Intelli-Speed motor control automatically senses the ingredients in the unique diamond-shaped 60-ounce pitcher and maintains its optimal speed to consistently power through all the ingredients. Whether you add whole fruits or vegetables, all the ingredients will be expertly blended together to make delicious tasting creations. Built to last, the KitchenAid blender has a sturdy one-piece die-cast base. 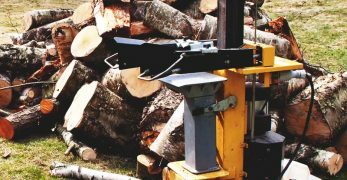 A steel-reinforced coupler provides direct power transfer from the motor directly to the blade for a reliable and quiet blending operation. The BPA-free pitcher has a sturdy lid and features a shatter, scratch, and stain-resistant design. To keep the container clean, it can go straight into the dishwasher. You have great blending versatility with the 5 settings: stir, chop, mix, puree and liquefy. The blender also has a pulse mode, a soft start feature, and a crush ice button, all of which are clearly displayed on the front control panel. Stylish and functional, the Kitchenaid Blender offers you 21 fantastic color choices. The blender is covered by a 1-year warranty. Incredibly versatile, the Cleanblend Commercial blender is an excellent choice for a home kitchen or business. This well-designed stainless steel machine has an extremely powerful 3 HP/1800-watt motor and sealed stainless-steel ball bearings that ensure a smooth blending performance every time. The food grade stainless steel razor-sharp 6-blade system can effortlessly chop, pulverize and liquify everything that goes into the large 64-ounce container. You can use the blender for breakfast, lunch, and dinner. It makes beautiful smoothies, fresh juice, ice cream, milkshakes, cappuccinos, margaritas, soups, sauces, batters, dressings, salsas, and can crush ice. The tamper allows you to push down chunks of frozen banana into the blades and helps to create extra silky smooth nut butter, ice creams, and soups. 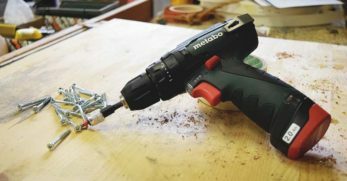 One of the other major highlights of the Cleanblend is its easy-to-use simple operations: a power button, a variable speed dial, and a pulse button. 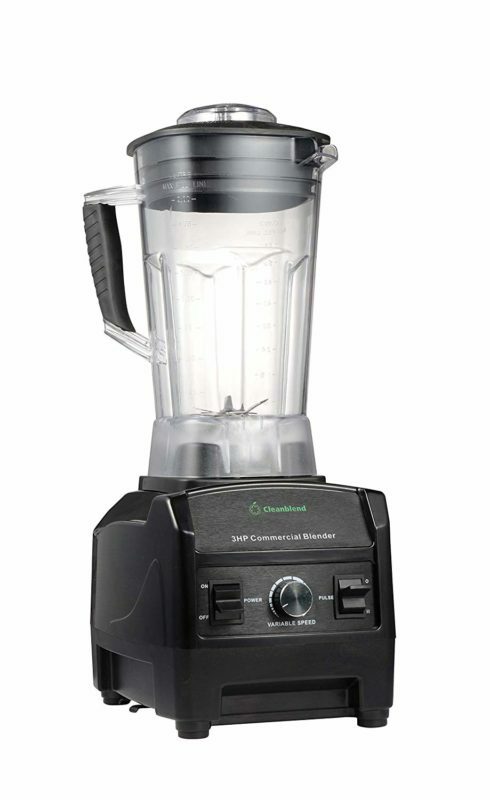 CleanBlend offers a 5-year warranty on the blender. 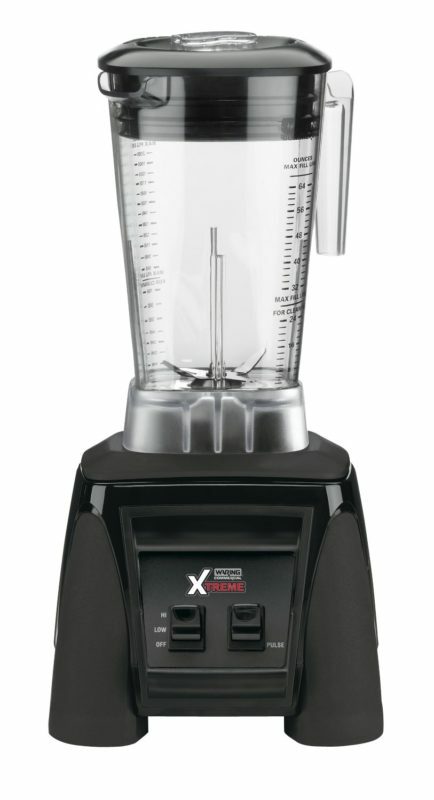 Enjoy smooth, consistent blending results every time with the Waring MX1000XTX 64-ounce Commercial Blender. 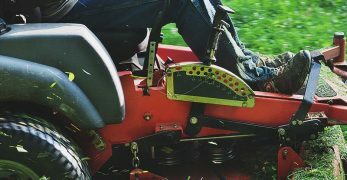 The high-performance 3.5 HP/1500-watt motor and ultra-aggressive stainless-steel The Raptor® blade assembly delivers maximum power and efficiency for heavy-duty blending. It can make everything from consistently smooth mouth-watering smoothies, juices, frozen drinks, thick spreads, sauces, and dressings. As the heavy-duty appliance can blend up to 75 drinks per day, it is perfect for a busy bar, health facility, school or coffee shop. The large 64-ounce unbreakable BPA-free polyester container has a removable lid and a removable clear cap that reduces pressure when you are blending hot ingredients. Simple to operate, the clearly marked paddle switch controls feature high, low, off and pulse settings. Waring offers a 3-year limited warranty and 2-year parts and labor warranty, and the blender has been NSF approved.